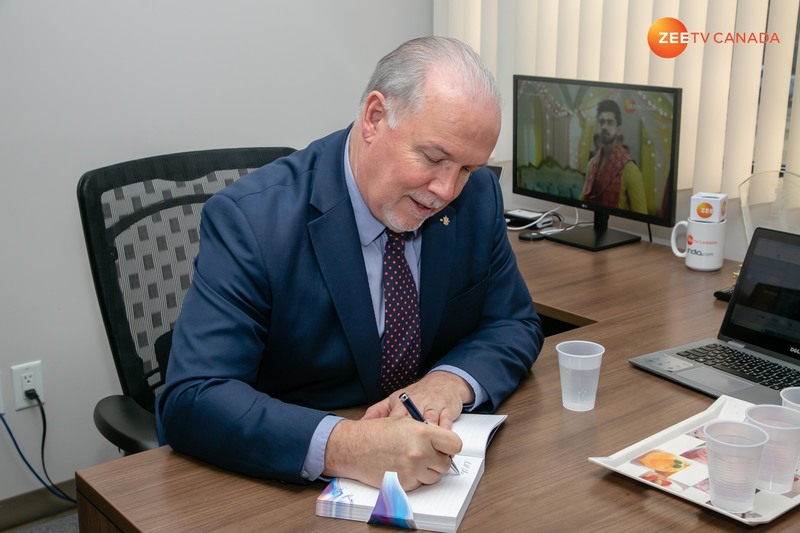 The Zee TV Canada Vancouver office on January 30th, 2019 was adorned with the presence of Premier of British Columbia, Mr. John Horgan. John Horgan is serving as the 36th & current Premier of British Columbia since July 2017. 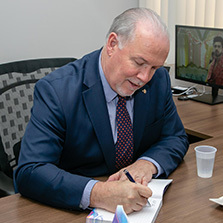 The premier of British Columbia is the first minister, an equivalent of a governor or Chief Minister, head of government, and de facto chief executive for British Columbia Province/State of Canada. John Horgan paid a visit for an exclusive interview for Zee TV Canada's successful locally produced show, BC Round-Up. During the interview he addressed on a lot of ongoing issues in the Canadian province of British Columbia. On being queried upon on how the collected tax money will be utilized to reduce the housing crisis, he answered, "It's a small, focused tax on those who are speculating. If you don't own two or three homes, it doesn't affect you. It will bring down cost and money will be utilized to build more housing for people." Speaking on the issue of non-availability of ride hailing services like Lyft & Uber, he confirmed that, "Ride-Hailing services will soon enter & be available in British Columbia." Stepping in the new year John Horgan was asked on what can the British Columbians can expect from BCNDP (The New Democratic Party of British Columbia) in 2019, he replied, "We would continue to our best with the British Columbians We are working with the private sectors to create more jobs. We are replacing the Pattullo Bridge, and hopefully, we get more transit in Surrey. Concluding the interview, John Horgan lauded Zee TV Canada for consistently supporting the community British Columbia through Out Reach community events & other mediums as well. He quoted, "All the best to Zee TV on many years of community programs. May 2019 be your best year to date." Before departing he wished all the viewers of Zee TV Canada a very Happy 2019 & asked people to e-mail him directly if any concerns with the government.